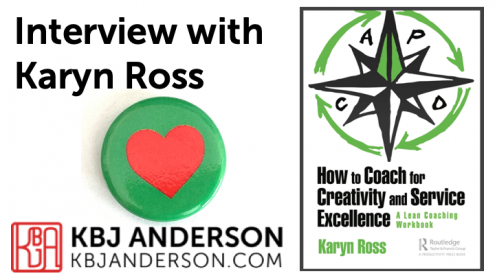 Interview with Karyn Ross: "How to Coach for Creativity and Service Excellence"
https://kbjanderson.com/wp-content/uploads/2019/04/KBJA_KarynRoss_Header.png 405 720 Katie Anderson https://kbjanderson.com/wp-content/uploads/2018/06/KBJAnderson_horiz_logo_bluegrey_340-300x42.png Katie Anderson2019-04-18 18:34:412019-04-19 07:46:20Interview with Karyn Ross: "How to Coach for Creativity and Service Excellence"
Interview with Mark Graban: "Measures of Success"
https://kbjanderson.com/wp-content/uploads/2018/09/MarkGrabanMoSInterview.png 542 720 Katie Anderson https://kbjanderson.com/wp-content/uploads/2018/06/KBJAnderson_horiz_logo_bluegrey_340-300x42.png Katie Anderson2018-09-17 21:22:152018-10-01 19:21:39Interview with Mark Graban: "Measures of Success"
Interview with Karen Martin: "Clarity First"
https://kbjanderson.com/wp-content/uploads/2018/03/Slide1-1-678x381.png 381 678 Katie Anderson https://kbjanderson.com/wp-content/uploads/2018/06/KBJAnderson_horiz_logo_bluegrey_340-300x42.png Katie Anderson2018-03-20 16:02:062019-01-15 09:17:53Interview with Karen Martin: "Clarity First"
Book Review and Interview with Michael Balle on "The Lean Strategy" - Part 1 - Is Lean a strategy? https://kbjanderson.com/wp-content/uploads/2017/08/Slide2.jpg 360 720 Katie Anderson https://kbjanderson.com/wp-content/uploads/2018/06/KBJAnderson_horiz_logo_bluegrey_340-300x42.png Katie Anderson2017-08-02 10:43:282017-08-22 10:10:09Book Review and Interview with Michael Balle on "The Lean Strategy" - Part 1 - Is Lean a strategy? 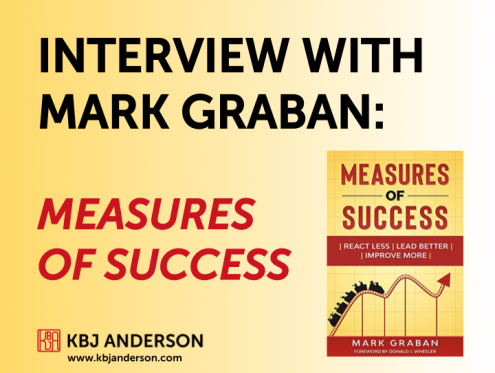 Interview with Dan Markovitz: "Building the Fit Organization"
https://kbjanderson.com/wp-content/uploads/2016/11/Markovitz-Fit-Organization-Interview.jpg 360 720 Katie Anderson https://kbjanderson.com/wp-content/uploads/2018/06/KBJAnderson_horiz_logo_bluegrey_340-300x42.png Katie Anderson2016-11-16 09:20:092016-12-19 16:45:59Interview with Dan Markovitz: "Building the Fit Organization"